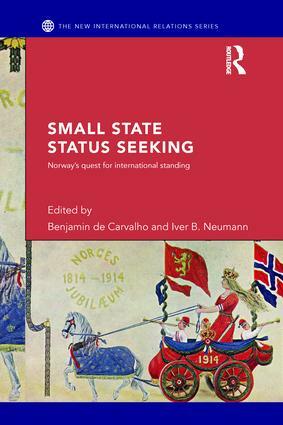 Status-seeking is an important aspect of the foreign policies of a number of small states, but one that has been rarely studied. This book aims to contribute to our understanding not only of status-seeking, by coming at that question from a new angle, that of a small state, but also to our understanding of foreign policy, by discussing the importance of status for foreign policy overall. If status is a hierarchy, then it is important to focus not just on the highest-ranking powers, but also those at lower levels. As the distribution of power is becoming more diffuse, the role of small and medium powers becomes more significant than it was during the Cold war. The book chapters go beyond familiar explications of "soft power" or conflict resolution to highlight new aspects of Norway’s foreign policy, including contributions to national defense, global warming, and management of Arctic resources. This book will be of interest to students and scholars in areas including US Foreign Policy, International Relations and European Politics. From ‘forces for good’ to ‘forces for status’?